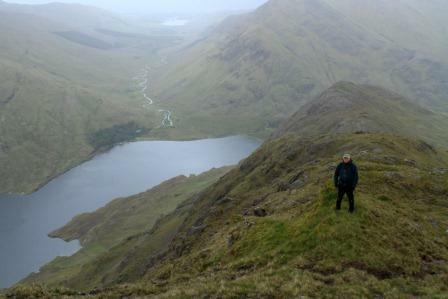 Ben Lugmore East Top is the 52nd highest place in Ireland. Ben Lugmore East Top is the second most easterly summit in the Mweelrea Mountains area. On route to point 760 on Lugmore east, if you look back this is what you will behold.